There is nothing better than waking up in the morning, making your favorite smoothie and eating cookies you baked last night. This recipe is very simple. 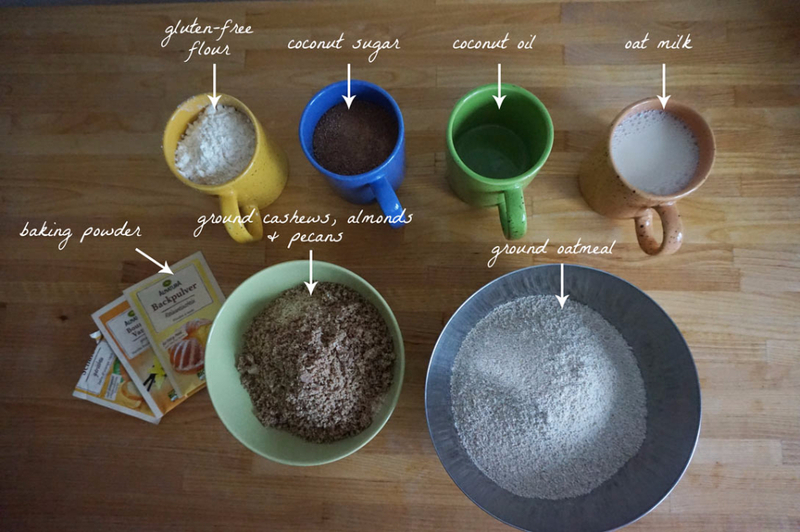 You’ll need some oatmeal, cashews, almonds, coconut oil and coconut sugar. 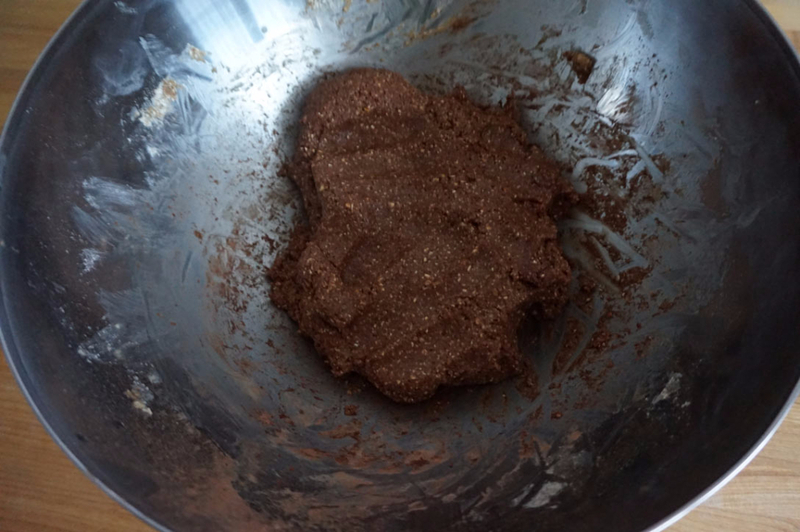 You can also add a bit of 100% raw cacao to the half of the dough and bake chocolate cookies. So, with minimal extra effort you get cookies in two flavors. I love it with cacao as it gives extra bitterness. 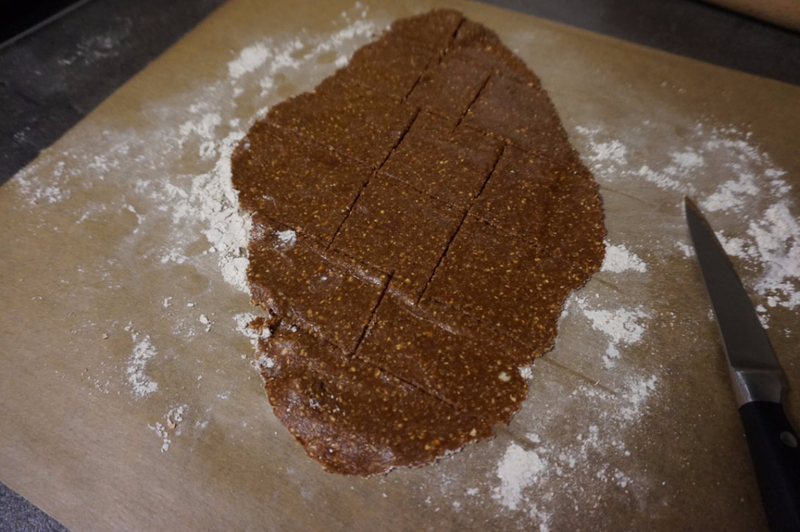 I love to eat different commercial oat cookies, but I’d been wanting to make my own for a while now, especially since i can control all ingredients and make healthier version of it. Plus, you have fun creating something yourself. 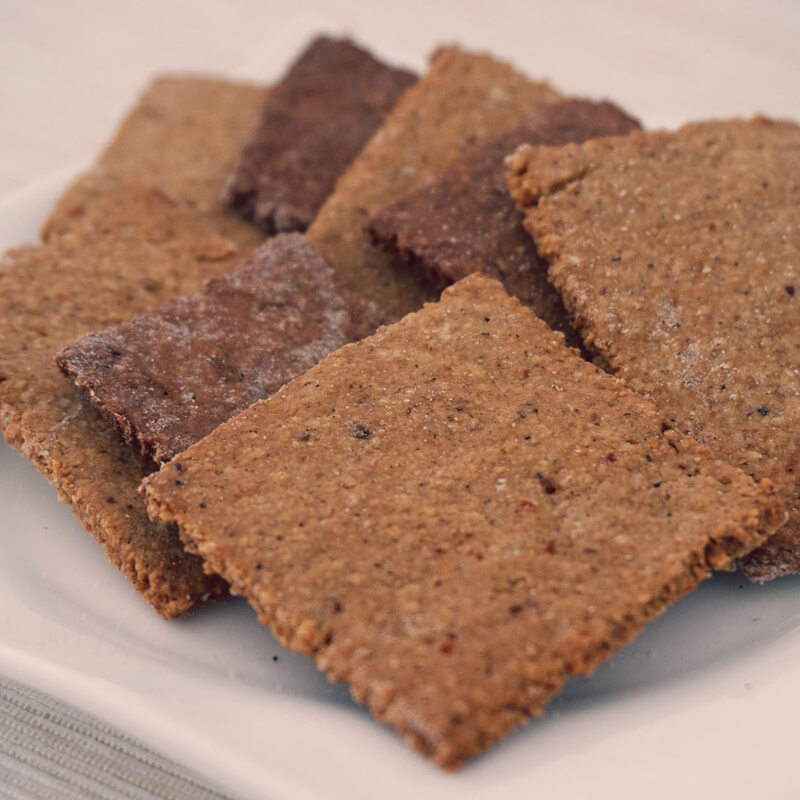 Recipe is ideal for busy people – you can bake it in the evening and you have homemade cookies for the next couple of days. 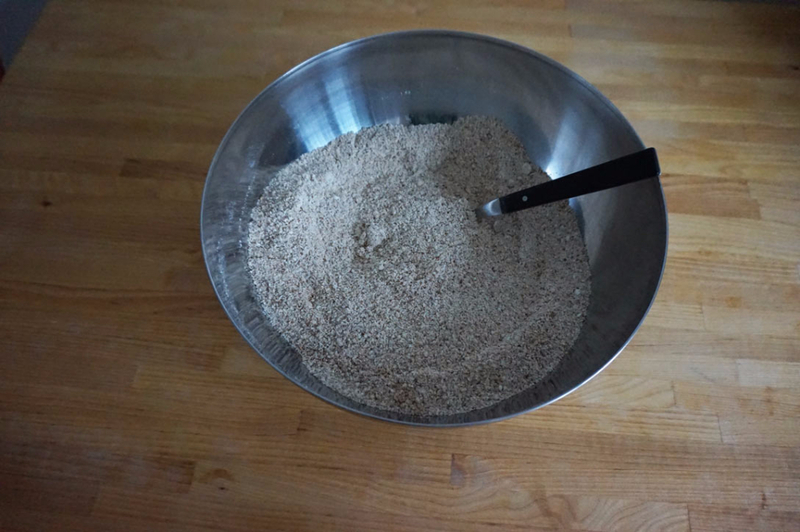 Put ground oatmeal, ground cashews, ground almonds, ground pecans, flour, baking powder, coconut sugar in a bowl and mix it. 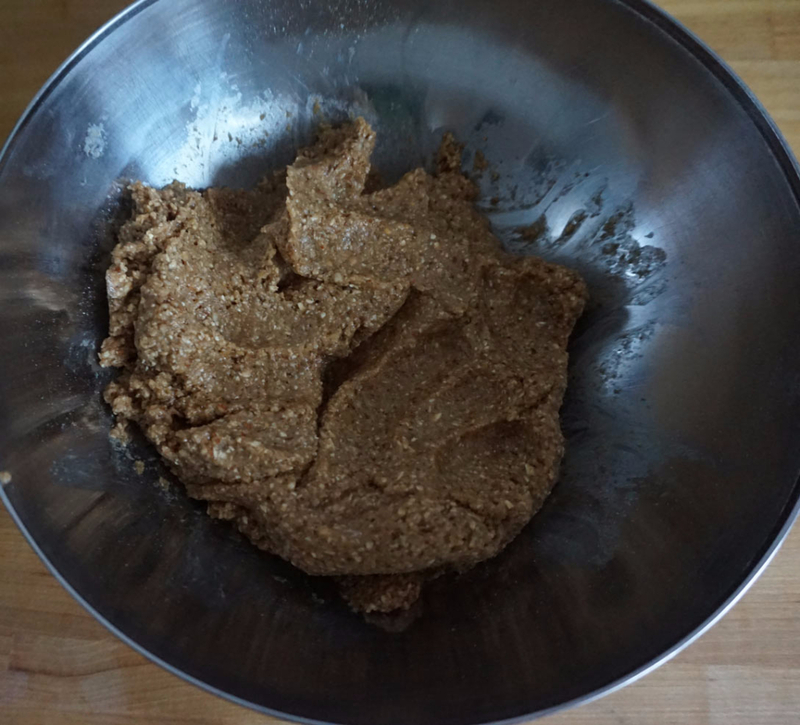 Add coconut oil, oat milk and mix the dough. 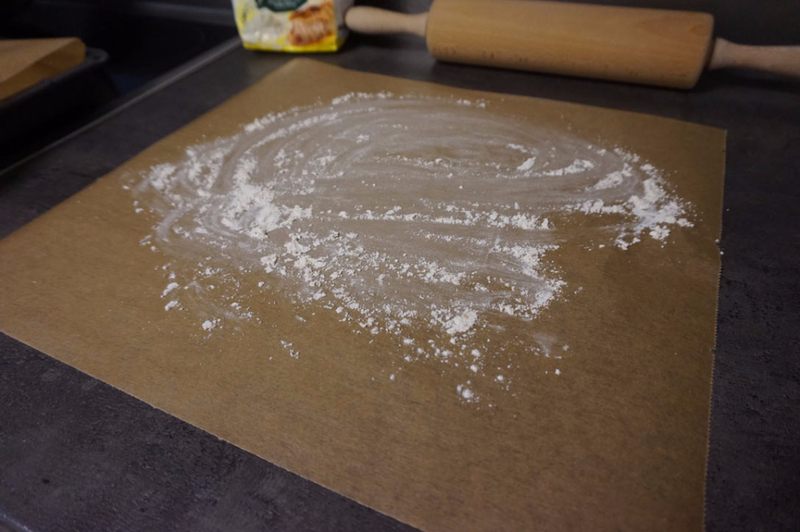 Lay a piece of parchment paper (sprinkle with the flour) on a flat surface, place small portion of dough on top, and cover with another piece of parchment paper. 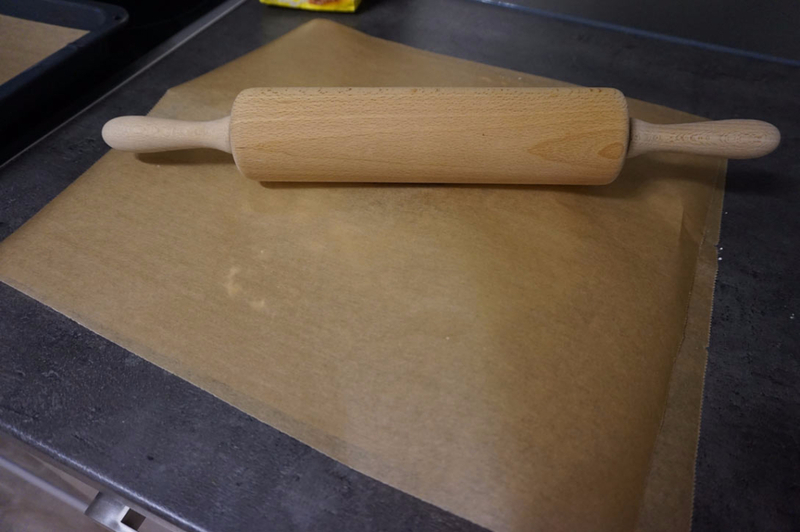 Roll the dough into a rectangle very thin. Remove the top piece of parchment, and use a knife to cut squares. Repeat with the remaining dough. 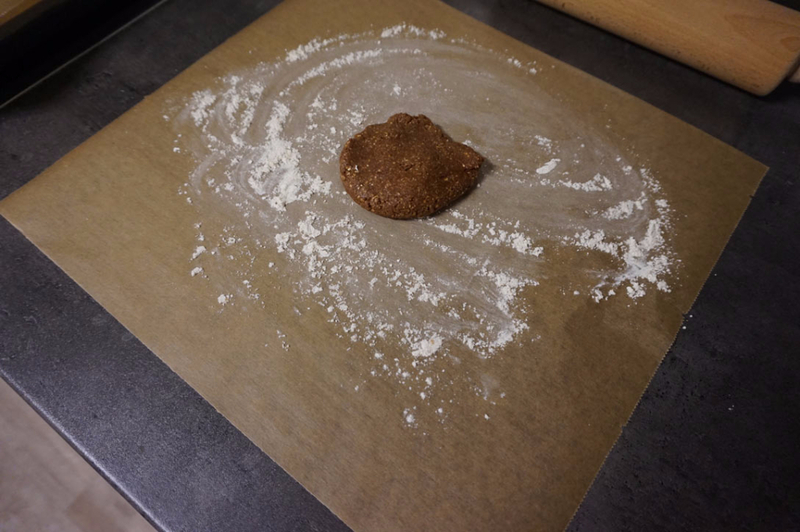 Now, move cookies (including the lower piece of parchment paper) to the baking sheet, and bake for 12 to 15 minutes on 190°C, or until the cookies are browned and crisp. Repeat with the remaining dough.